If you are anything like me, you are still shopping around for the perfect presents for your friends and loved ones for the holidays this year. 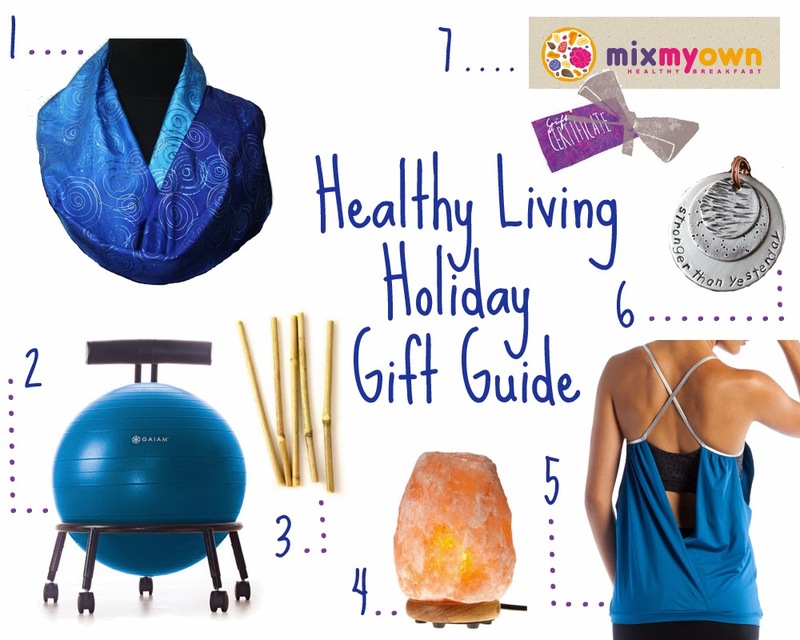 I’ve put this fun little healthy living gift guide together for a bit of inspiration for those in your life dedicated to living healthy and rocking it! I ordered one of these beautiful scarves for one of my darling yoga teachers to keep warm to and from class! The gorgeous scarves are made by hand to order and feel wonderful. Also, as an added bonus the sweetheart shop owner packages them in a gorgeous array of wrapping so they come nearly ready to give! I am such a straw person. I have a whole set of stainless steel straws so I don’t have to keep throwing out the plastic ones, but I’ve come to realize I’m a baby when it comes to drinking cold drinks with one! They always seem to freeze your lips. Bamboo straws, however, are both reusable and wont make your teeth chatter! These lamps are both beautiful and functional. When this lamp is turned on and heats up it releases negative ions which purify the air around you. I have these in candle votive form all over my apartment, but would love the option for a flameless light and dimmer switch! As you may already know I am in love with Ellie’s clothing (and accessories for that matter!). Their newest line is gorgeous and would look and feel great for any workout from lifting to yoga! Plus you can save 20% on your first order from Ellie- Look good and feel great when you click over from my blog! (Yay saving money!) P.S. The top featured above is the My Inspiration Tank! You really can’t go wrong with inspirational jewelry geared towards healthy living! This Etsy shop has quite a few different necklaces like the one pictured, all beautiful with mixed metals and fabulous sayings! I love Mix My Own (check out my review here) and have an absolute blast trying to figure out what to put in each mix- when they have things like ancient grains and bee pollen you take your time to figure out what is best! You can give the gift of both a tasty breakfast and the experience of creating your ideal granola at the same time! Create custom healthy breakfast mix. Choose from wide range of nutritious, all natural, organic, unprocessed, NON GMO, no-sugar or no-preservatives ingredients. What is on your healthy living wishlist? Let me know in the comments below!